요지는 도자기나 기와·그릇을 만들어 굽던 가마터를 말한다. 천황산의 봉우리 중 평평한 고원지대에 위치하는 백자 가마터로 5∼6기가 있다. 높이1,100m가 넘는 험준한 산의 꼭대기부분에 있어, 우리나라에 존재하는 가마터 중 가장 높은 곳에 있는 것으로 여겨진다. 발견되는 백자조각들은 대접·사발·바래기·접시·술잔조각 등이 대부분이며, 접시 중에는 아가리가 안으로 말리거나 밖으로 말려있는 것도 있다. 품질이 좋은 편이 아닌 중·하품의 백자를 굽던 곳으로, 순백자 뿐 아니라 검은 빛깔로 그림이 그려진 철화무늬 백자조각들도 발견된다. 철화무늬는 소박하고 화려하지 않은 풀무늬 또는 원 모양과 원점 모양의 무늬가 그려져 있다. 경상도 해안 가까운 지역에서 드물게 발견되는 조선 중기의 지방 철화백자 가마터로 의의가 있다. The Kiln Site was where white porcelain, tiles, and vessels were baked. 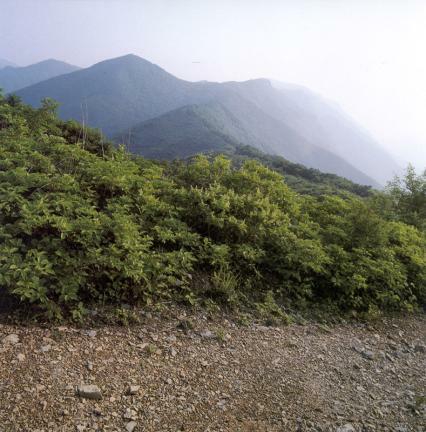 In about 5 to 6 sites located in the highlands of Cheonhwangsan Mountain, white porcelain was baked. It was placed on the peak of a steep mountain more than 1100 meters high, considered the highest one in the country. 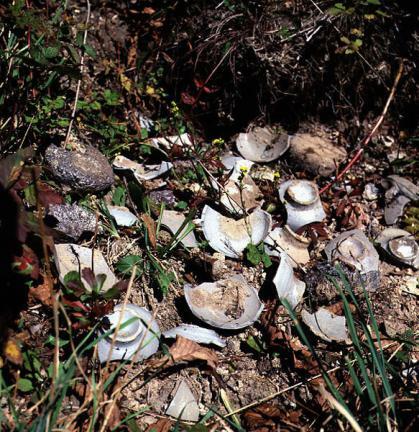 Most of the pieces of white porcelain were bowls, ceramics, dishes, and pieces of broken glass. Among those glass pieces, that making up the mouth rolled toward inside and outside. They were middle- or lower-quality rather than high-quality ones. The white porcelain patterned in underglaze iron was found in most of them. These porcelain works were drawn with simple or grass patterns. Rarely found in the coastal area close to Gyeongsang-do, the kiln site of white porcelain patterned in underglaze iron during the mid-Joseon Dynasty is truly noteworthy.